Now accepting Submissions - Canadian Association of Schools of Nursing / Association canadienne des écoles de sciences infirmières (CASN / ACESI). 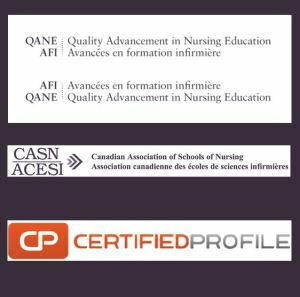 On behalf of the Co-Editors in Chief of the Journal of Quality Advancement in Nursing Education- Avancées en formation infirmière, I am pleased to inform you that we are now accepting submissions for the Canadian Association of Schools of Nursing’s peer-review Journal. The aim of this Journal is to provide a forum in which to address questions and issues related specifically to quality advancement in nursing education. The mandate of the Journal is to promote excellence in nursing pedagogy through research, theoretical, and policy papers. These papers will address assessment, indicators and standards, of quality nursing education, evaluation, program modality outcomes, and the nature and key elements of educational quality. International as well as Canadian perspectives and research contributions will be sought. All submissions will undergo a Blind Peer-Review process.